Appropriate naming of streets and numbering of buildings is very important. It forms the basis for identifying a property and this is essential for the efficient functioning of emergency, postal and many other services. The Council is responsible for naming streets, ensuring street name plates are erected and changing the street name if required. The Council also numbers the properties on a street, and can require the owner to display the number, and change that number if necessary. The Royal Mail is responsible for the allocation of postcodes. Argyll and Bute Council, in common with many other local authorities, charges for street naming and numbering. If you are developer or agent constructing a new development it is important to determine at an early stage if a new street name will be required. If you are unsure it is recommended that you contact the Corporate Address Gazetteer (CAG) team at least 3 months before the first property will be occupied. If no new street name will be required please complete the form for a single new property if you only need one address, or the multiple property form if you require addresses for more than one property on an existing street or a sub-division creating a number of new flats. If a new street name(s) is required it can be proposed by a developer but must be accompanied by a reason for the choice of name and details of any consultation that was undertaken e.g. with a local primary school or the community council. This information should be included on the new street name form. The final decision on the street name rests with the local councillors or, where there are objections to the proposed name by one or more of the ward councillors, with the local Area Committee. A numbering scheme for the new properties will be devised and agreed and it is important to note that this may not reflect the plot numbers allocated by the developer. Properties will generally be numbered with odd numbers on the left side of the street, and even numbers on the right. For cul-de-sacs, where there is no possibility of the street being extended, the numbering can be consecutive with number 1 being the first property on the left of the access to the street. Please complete this form if you are developing one single property. Please complete this form if you are developing more than one property and do not require a new street name. Please complete this form if you are developing more than one property and/or require a new street name(s). For new houses a new, and unique, property name and/or number will be required. Where new properties are built on an existing numbered street a new number will be allocated to the property. It is often necessary to use an ABC suffix along with the adjoining property number (for example 10A, 10B, 10C...) to provide a unique number, ensure consistency and enable the property to be easily located. If your property is in a rural area it is likely that it is not numbered and the property name will form part of the official address. In this case, before confirming your preferred name, the CAG Team will check that there are no properties with a similar name in the same locality which may cause confusion for deliveries or emergency services. If you require a name or number for your property please complete this form. If you are moving into a house which is already named or numbered and have any queries about your new address please complete the General Address Enquiry form. If you wish to change the name of your new property please note that you cannot change the name prior to taking ownership of the property. Once you are the legal owner the name can be changed and, as with new houses, the CAG Team will check that there are no properties with a similar name in the same locality which may cause confusion for deliveries or emergency services before confirming your preferred name. If you require a name change for your property please complete this form. If you wish to change the name of your property, the CAG Team will check that there are no properties with a similar name in the same locality which may cause confusion for deliveries or emergency services before confirming your preferred name. If your property is numbered you may also name your property as long as it doesn’t conflict with an existing property name in that locality. The property name in this case will not officially form part of the property address – Royal Mail refer to the name as an ‘alias’ name and the Corporate Address Gazetteer as an ‘alternative’ name. 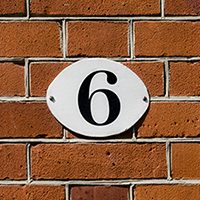 When a property is named as well as numbered the property number must still be displayed and, as well as your property name, it is recommended that the number is used in all correspondence. If you require a name change for your property or a name added to a numbered property please complete this form. If you are an existing home owner and you are having problems with online address searches or companies not recognising your address when you try to order a delivery or service over the phone it is possible that your address may not be included in the Royal Mail database. If you think this may be the case please use the address finder on the Royal Mail website in the first instance. If you cannot find your address please complete this Royal Mail Address Registration form. Argyll and Bute Council maintains a Corporate Address Gazetteer (CAG), which contains addresses for all properties in Argyll and Bute. The CAG is updated daily. Please contact us if you have any questions about property addresses. The CAGs from all 32 Scottish local authorities are combined into the One Scotland Gazetteer (OSG). You can search our CAG online. The One Scotland Gazetteer can be found on the OSG website.